One of the better deals in the horse community come and check this one out! 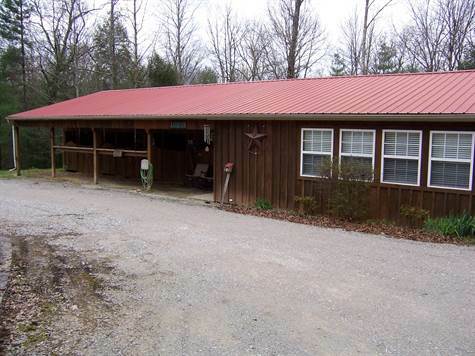 A very well layed out cabarn with 8 large stalls on 2 acres. The living quarters features an open kitchen dining area, a large bedroom and a bathroom with a custom rock shower that is a must see. Comes mostly furnished. Barn also has a large attatched storage area as well as an additional outside shed. There is plenty of room for guest with four RV hookups that will easily accommodate the largest rigs. All RV Hookups have electric and water. This property is as close to the park as you can get. The horse trail is just fifty yards from the property and it is only a five minute ride into the park. Must see property and must see location!